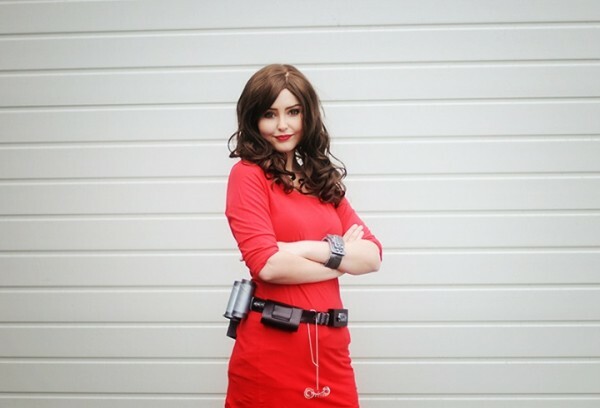 Incredible Clara Oswald Costumes « Adafruit Industries – Makers, hackers, artists, designers and engineers! Clara Oswald has been known by a few different names in Doctor Who. 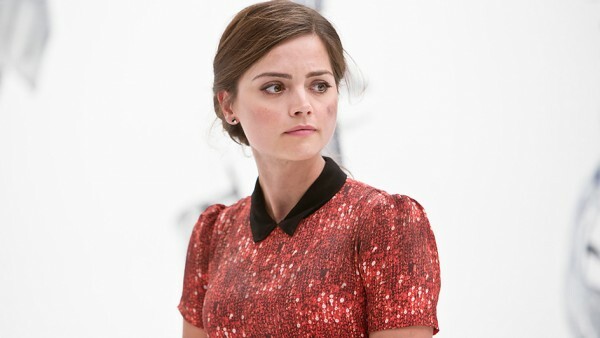 The companion has been called the Souffle Girl, Oswin Oswald, and the Impossible Girl. Played by Jenna Coleman, Clara has traveled with the Eleventh and Twelfth Doctors, and like Amy Pond, has proved to be feisty and headstrong. She’s also worn an array of memorable costumes, and Ida, a.k.a. 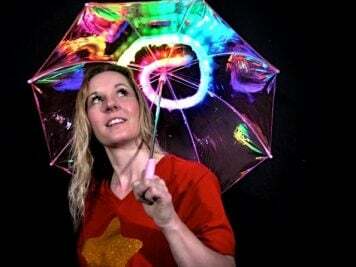 Starbit Cosplay has tackled several of them. She’s only been cosplaying since 2011, but Ida’s built up a large portfolio with costumes from Game of Thrones, Brave, Lord of the Rings, and Doctor Who. 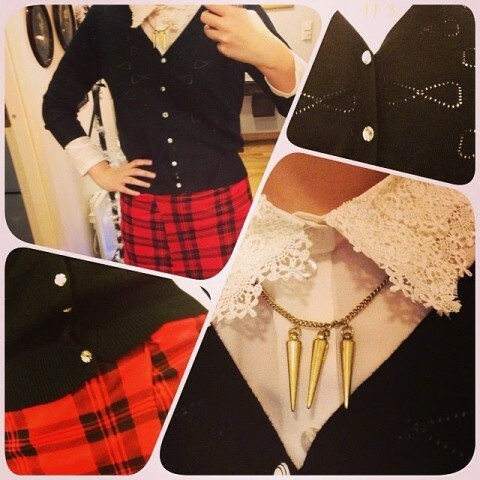 Since Clara’s outfits are often everyday clothing, they present a different kind of challenge. You can sometimes find out the designer of various items and buy replica pieces off the rack, but chances are you’ll have to purchase clothing that’s similar and modify it. Clara’s makeup and hair are part of the package, and as you can see, Ida has done an impressive of job of matching Clara’s hairstyles with various wigs. She’s also nailed the character’s makeup. The above photo is an example of the kind of modification that Ida makes to bring the costumes closer to screen accurate. 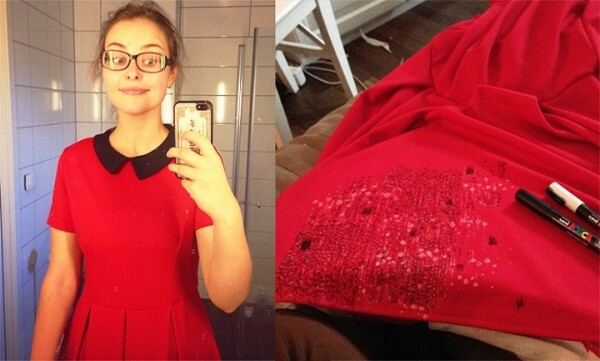 Clara wore a red dress with a Peter Pan collar in Journey to the Center of the TARDIS, but the dress was covered in a pattern that makes it look like it’s covered in sequins. Ida added the pattern by hand with fabric markers. 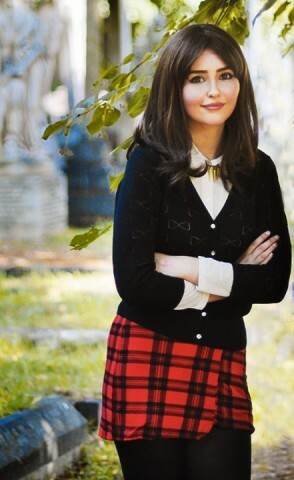 See more of Ida’s Clara Oswald looks at Facebook.